Unfortunately, complex design programs can have a big learning curve and require a massive amount of expertise. Microsoft developed Publisher as a response to this issue. This program gives you advanced designs for everything from greeting cards to calendars in a simple and easy-to-use format. Publisher’s capabilities are explained in more detail below. Publisher has the power to format documents in many ways while also making it easy to import, delete, and modify images. 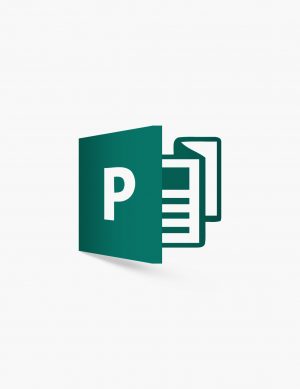 Publisher’s templates make creating professional looking documents easy. Use shading, shadows, reflections, and different shapes and pictures to make your documents more gripping. Natively search through free online picture galleries and add them directly into documents, all without saving them to your computer. Swap your imported photos around to get the right image combination quickly and efficiently. 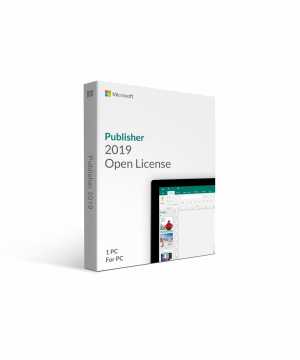 You can purchase Publisher on its own, but this is not recommended by our experts because the Office suite packages that feature Publisher are so affordable, and give you much more programs and bang for your buck. Office 2016 Standard: Targeted at large business and includes the main Office programs, such as Word, Excel, and PowerPoint, plus Outlook, and Publisher. Office 2016 Professional: The same as Standard with the addition of Access, and doesn’t require a volume license. Office 2016 Professional Plus: Includes everything in Professional and Skype for Business, doesn’t require a volume license. Office 365 Personal/Home: Include all of the well-known Microsoft programs except Skype for Business. Personal is for a single computer, while Home allows for multiple. Office 365 Business: The same as the Home edition, targeted for Business. Office 365 Premium: The same software package as Business, with a few useful online communication-focused programs added. The best place to purchase Publisher is through softwarekeep.ca. SoftwareKeep guarantees the lowest price on the web for all your software, and offers expert help selecting and installing your purchases. Visit us at www.softwarekeep.ca, or call us at +1 877-285-1036.